We’re so excited that we can hardly contain ourselves. Yes, in one month – yes, in just 31 (that’s THREE ONE) days – that legendary first keg of rich, golden brew will tapped in the hallowed halls of Schottenhamel on Munich’s Theresienwiese and the 2017 Oktoberfest will have begun. 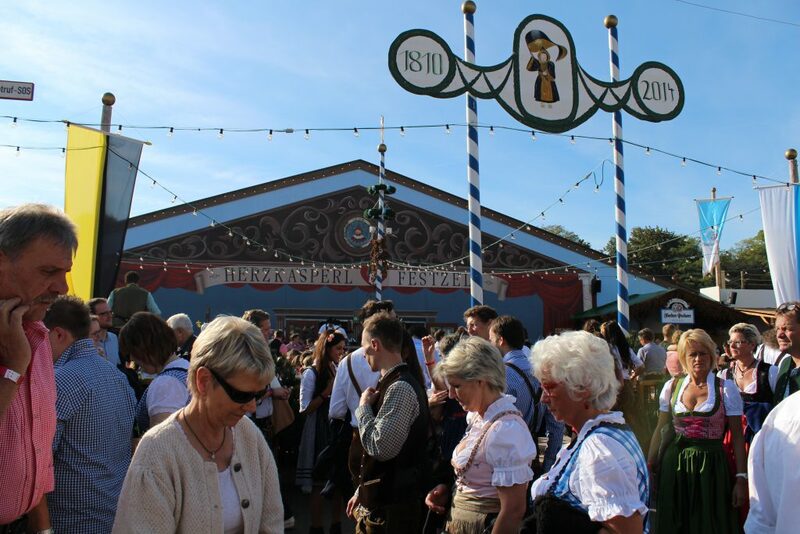 Then it’s all systems go for a bumper 18-day marathon (see the reason for the two bonus days here) with the triumphant return of the traditional Oide Wiesn plus extra tent and range of other exciting developments. Read up and get ready here! Before, you had to use this rather imprecise overview to try and guess whether tents would be full or not. Not at 2017 Oktoberfest! The most important – and most welcome – of the various developments for the 2017 Oktoberfest is the first official Oktoberfest app. It will have a share functionality allowing you to post the tent you are in or the fairground ride you are one to your friends of Facebook plus (and this is, in our view, the game changer) a live overview of tent business. While overcrowding was, for once, not an issue at last year’s Wiesn, it would be foolish to assume that will remain the case; and even if things are a little quieter this year, too, from Thursday evening onwards, seats will be filled and things will get tight. So being able to make decisions about whether to leave one table in the hope of finding a better one on the basis of hard facts, rather than prior experience mixed with gut feelings and hearsay, will make a big difference. 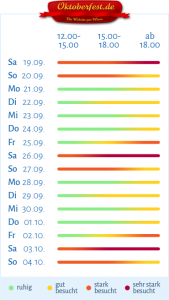 There’s one big but here, though: this is all assuming that mobile internet coverage doesn’t – as it has in previous years – collapse entirely and your phone doesn’t die at precisely 4.57pm. 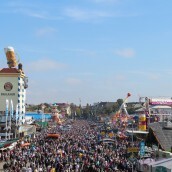 Herzkasperle-Zelt, a classic of the Oide Wiesn section of the Oktoberfest. As in previous years, tradition will be a big thing in at the 2017 Oktoberfest. Its most visible incarnation will be the Oide Wiesn area, returning after its absence once every four years for an agricultural show held on the southern end of the grounds. The “Old Wiesn” is so traditional that it even has a tent called “Tradition” and another two old-style tents which serve as living reminders of the two-century history of the festival: there’s the Herzkasperl-Festzelt, a charming olde-worlde tent with earthenware tankards which you might remember from 2015 and a newcomer, Zur Schönheitskönigin, which will be placing a strong emphasis on traditional song and dance. To get an idea of the atmosphere, check out the lakeside hotel and eatery run by the landlords. Schottenhamel was already founded in 1867 back in 2014! Story checks out. Even if old-style Bavarian music isn’t quite your thing, though (and if it isn’t, you might be in the wrong place…), you won’t be able to escape traditions on the main drag, either: Schottenhamel-Festhalle, the legendary tent where the Munich mayor does his keg-tapping thing, is turning 150 this year. 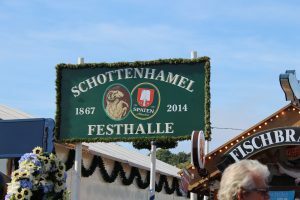 In terms of the history of the fest, there really is no tent like Schottenhamel: it was here, for instance, that the idea of swapping normal pilsner beer for the stronger, richer Märzen brew was first had. Want to find out more? Head to the Museum of Beer and the Oktoberfest (no, really, they have one) to check out the topical exhibition on this most august of tents. Oh, yes, and don’t forget to stop by and raise a jar to the birthday tent. 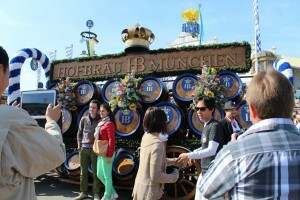 This kind of delivery van will still be allowed on the festival grounds during the day, of course. And last, but by no means least, a quick word about the security provisions at this year’s Oktoberfest. The new regulations introduced last year regarding luggage and large bags remain in force, so try to avoid bringing your suitcase along on your last day and, ladies, keep the size of your handbags down. There will be entrance checks, too, so work on the assumption that you’ll need an extra 10 minutes or so to get onto the festival grounds if you turn up at busy times. The only thing that is completely new this year is that you’ll no longer be allowed onto the grounds until 9am rather than, as in recent years, 8am (no, us either!). The idea behind this is to keep delivery vans, which now have to be off the grounds by 9am, away from groups of people in case one of them turns out to be hijacked. Sounds sensible to us. We’ll see you midday-ish! Keep updated on the 2017 Oktoberfest here – we’ll be posting from the Munich festivities as they happen – and: Prost!